There are a lot of things on the internet that just can’t be trusted, and an online moving quote just may be one of them. While a reputable business will usually offer a fairly accurate breakdown of the cost through their website, even these shouldn’t be considered solid. This doesn’t necessarily mean that the company in question is shady, however, because there are many factors that aren’t accounted for when computing a move cost on the web. Unfortunately, the cost of moving is not consistent from one operation to another, and the only way for a client to secure a solid price is to contact as many services as possible. 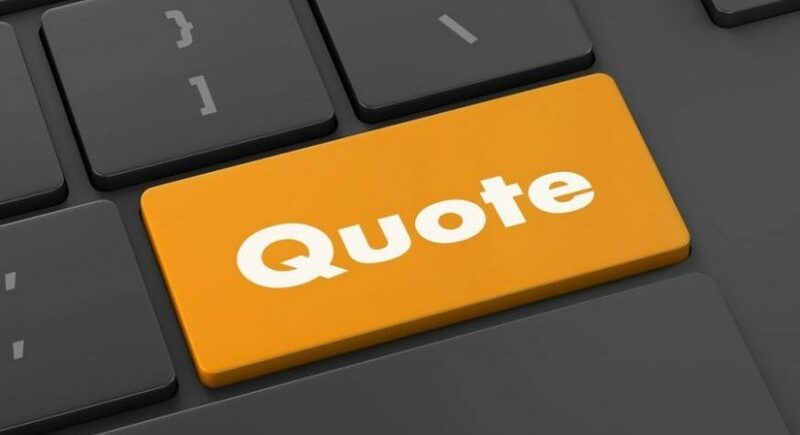 Not many companies offer an online moving quote, but those that do will use a few variables during the computation. Unfortunately there are sometimes substitute numbers that are overly optimistic or otherwise unrealistic. Many a homeowner has been hit with an ugly surprise once the bill was due, and for these poor folks, it’s usually too late to turn back once the hidden fees start showing up. So, it’s best to avoid settling for an online moving quote, that much is clear. How should a client go about getting a solid breakdown of the move’s cost, then? Getting an estimate over the phone will be closer to the mark than looking up something over the internet, but even then, there may still be some issues. Speaking directly with a representative can bring some different results as to the pricing, but it is still not an absolute guarantee on what the final cost will be. There are so many variables when it comes to getting a solid price on moving a home or business. An in-house visit by a company representative will be superior to an online moving quote or over the phone estimate. Most operations charge by the hour for labor, and the only way to get a good idea of how much time a move will take is to visit the property and see what will be involved in the move. If the house has extremely bulky or heavy items and furnishings, then special equipment will likely be required. This naturally will cost a bit more than the use of a regular dolly. If there are any hazardous materials to transport (for whatever reason), then this will also cost extra as well, as special permits are required for the trucker. Transport businesses typically charge by weight, and this is not a number that can be accurately computed over the web or on the phone. Also, a face to face meeting also means getting a good look at any contracts that need to be signed prior to the big day. This is almost never available with an online moving quote, and it will spell out very clearly how the operation charges for each of the services it offers. If there are any strange or hidden fees waiting in ambush, then the only way to find them is to comb through the paperwork before agreeing and signing anything. A reputable company will be upfront with any additional charges that may be applied.